Enter to Win San Diego Seals Tickets! Enter to Win “Disney on Ice – Worlds of Enchantment” Tickets! Enjoy live music and the sunset on the shores of Redondo Beach on May 3rd to May 5th with BeachLife Festival. 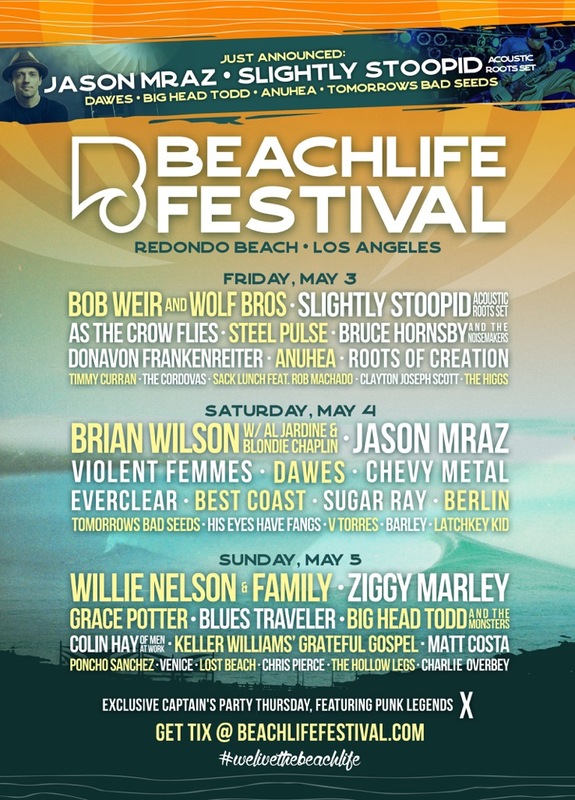 KKSM is giving away a pair of General Admission passes to 3 days of music, food, beach, and sun with over 40 bands including legendary headliners Bob Weird, Brian Wilson, and Willie Nelson. Enter to win today and we will pick one lucky winner on Friday April 26th at 6pm Pacific. Terms and conditions apply.